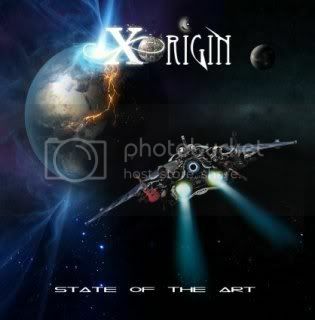 This is the debut from Scandinavian act Xorigin. The band was originally called Orange Crush and was formed in Los Angeles in 1999, while the members where studying music at the Musicians Institute. The founding members Johannes Stole (vocals) and Daniel Palmqvist (guitar) later returned to their home countries of Norway and Sweden and continued to work together on and off. This album is obviously one that has been created by musicians that know and understand their craft. This is absolutely smooth AOR in the vein of Journey, Giant and others. The music has a definite mid-late 80's feel. The vocals really stand out and help guide the way on every track. This is one of those albums where it takes one play for the songs to sink in because they are just that catchy. Unlike a number of AOR acts Xorigin even mix up the pace enough to avoid having their tracks run together. Really an excellant effort that is sure to please AOR fans. It really has been a good year for quality AOR hasn't it Mark?